Promotes health and fitness with less time effort, melting away fat, remove inches of your waistlines, detox and tone your body improve your quality of life and make you more beautiful INCLUDES 🔹8 Sessions of Vibration Therapy 🔹8 Sessions of Russian Waves (EMS passive gym) 🔹4 Detox and Slimming Boots 🔹Each sessions include Hot and Sliming Wrapping For mor information read each treatment in service..
PRP is a natural product created from your own body. A small amount of blood is drawn from you and placed in a sterile tube that is spun down in a centrifuge to separate the different components of the blood. Red and white blood cells are divided from the platelets and the plasma (the clear fluid). This plasma now contains a higher than normal number of platelets and is called platelet rich plasma, or PRP. Why Platelets Rejuvenate Skin The platelets are best known for their importance in clotting blood. However, platelets also contain hundreds of proteins called growth factors which are very important in the healing of injuries. PRP is plasma with many more platelets than what is typically found in blood. The concentration of platelets — and, thereby, the concentration of growth factors — can be 5 to 10 times greater (or richer) than usual. Dermaplaning is recommended for all skin types except those with acneic skin. If you have deep cystic acne, wait until breakouts are clear before trying this treatment. As always, also discuss any allergies or skin sensitivities before starting a treatment. This is a great treatment if you are pregnant or nursing and want exfoliation without the risk of harsh chemicals absorbing into the blood stream and potentially harming your baby. is especially effective on those with dry or rough skin texture and helps to minimize superficial acne scarring or uneven skin tone. It is also beneficial for mature skin, which tends to have a buildup of dead cells as cellular turnover slows down with age. Dermaplaning is safe for pregnant or lactating clients who cannot have chemical peels (peels penetrate skin to act at the cellular level, thus are contraindicated). Those with very oily or active acne should avoid this procedure as well as anyone with thick, dark facial hair. Radio Frequency treatments will help to lift, firm and tighten skin by aiding the skin’s own ability to produce collagen and elastin. Help to tight the tissues and melt the fat to looks glowing, renewal, making reduce inches and loosing sagging skin & acne scarring are targeted. Post treatment your skin will continue to improve thanks to increased collagen and elastin production. Individual leg, abdominal, arm therapy - work all together in one session is an exclusive detoxifying treatment, which through effective lymphatic drainage, helps to promote the body's natural toxin clearing functions. The revitalization and oxygenation of the tissue helps to slim and redefine the legs, stomach and arms while enhancing skin tone. These focus on moving the venous and lymph flow, starting from the ankles and moving to the upper thighs. Designed to increase blood circulation and lymph flow, Pressotherapy enhances extra-cellular fluid clearance, reduces bloating, swelling and oedema, alleviates leg fatigue and improves oxygen flow through the whole body. Recommended for *the treatment of cellulite *Slimming and detoxifying. *A safe alternative to liposuction * Body shaping and profiling *Relieves pain and swelling, and provides immediate comfort *Redefines the legs, stomach and arms while enhancing skin tone Contra-indications *Deep Vein Thrombosis (DVT)	Presence of any pain or numbness *Acute infection of the affected limb	Cardiac Heart Failure (CHF) *Any instance where increase venous and lymphatic For best results, it is recommended that clients receive a series of treatments, ranging from 8-15 treatments, depending on specific individual needs. Weekly treatments are recommended to achieve individual results. 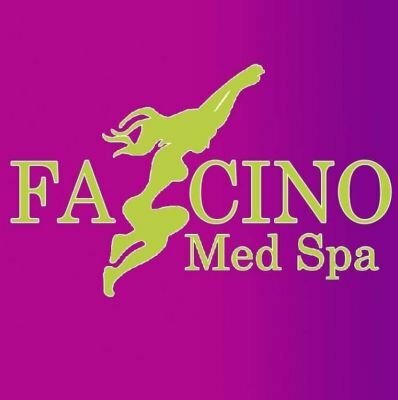 The Laser Lipo, is a non invasive fat burning technology that uses laser to shrink fat cells without damaging the fat cell or surrounding tissue. The fat will be mobilized and eliminated from the body using the body’s natural processes. The result is a remarkable reduction in fat with a natural appearing body contour. The Lasser Lipo Fat Burning Laser is an FDA approved technology for use as a non invasive dermatological aesthetic treatment for the reduction of circumference of hips, waist, and thighs. The results are natural looking and will appear gradually. Using leading edge technology it converts fat cells into liquid which can then be naturally drained by the body’s own natural filtration system. When the treatment of ultrasound cavitation is followed by a lymphatic drainage the process is faster, as the drainage is very effective at eliminating liquids. Generally one fat cavitation treatment lasts 30 – 40 minutes where a single part of the body is treated. 72 hours must pass between each session so that the body can eliminate the fat. The minimum suggested number of fat cavitation sessions is between 6 and 10. How does Ultrasound Cavitation work? A fully trained therapist will apply a specially designed handpiece to your skin. The handpiece will then transmit low level ultrasonic waves which consist of compression- expansion impulses that travel in high-speed cycles. This back and forth cycle then causes an infinite quantity of micro-cavities or micro-bubbles that gradually enlarge. This progressive enlargement finishes as micro-bubbles start to collide and implode, producing shock waves that favour emulsification and elimination of fat tissues (this phenomena is called “cavitation”). The liquid is then easily vacuumed out from the body using the lymphatic and urinary system. Microneedling is a cutting-edge skincare technology used to stimulate skin's collagen and elastin production. Microneedling corrects acne scars, fine lines, hyperpigmentation, pore size and sagging skin. The fine needles of the device are used to minimally puncture the skin to create a controlled skin injury. Micro needling can be done on areas of skin that may not be suitable for peeling or laser resurfacing, such as around the eyes and mouth, hands, and chest. Ultrasound uses the cutting-edge technology of very high speed, low-frequency sound waves that radiate invisible micro vibrations deep within cells, helping stimulate the skin’s natural repair mechanisms in distinct ways. But what does that mean for you? In short, it means Ultrasound is superior at cleansing, exfoliating, product infusion restoring elasticity, clearing of pigmentation problems & dramatically improves texture and smoothness…all without using chemicals, dangerous acids or other harsh abrasives. Furthermore, an Ultrasonic Facial is gentle, non-invasive, safe and suitable for all skin types, from Rosacea/Sensitive to Acne to Mature skins. Yes, even the most sensitive skin will benefit from Ultrasound treatments! This is exciting news for everyone. Microdermabrasion is a form of deep exfoliation which propels microcrystals across the skin to remove dead skin cells and improve the texture and smoothness of the skin, as well as promoting the production of fresh collagen and cells. As well as simply creating a youthful glow, it can be used to treat a wide range of skin problems including wrinkles, fine lines, sun damage, flaking skin, enlarged pores, acne scars, pigmentation, dry skin, age spots, stretch marks and more. Essential and powerful therapy for the delicate eye area. Revive tired eyes with our fast-absorbing, hydrating Pure Basil & Bergamot Eye Treatment which contains Jojoba, Basil and Brazilian Babassu Oils which condition and hydrate skin. Organic Mango and Shea Butters offer emollients to soften and moisturize rough, dry skin creating a potent age-defying formula in a creamy lipid base. Natural-source Vitamins, Proteins, Minerals and Anti-oxidants boost nourishment to this delicate area which so often shows the first signs of aging. Benefits: • Mango Butter has been used traditionally for centuries as it is rich in anti-oxidants, emollients as well as Vitamins A and E. It softens and moisturize rough dry skin. • Pumpkin Seed Carrier Oil offers healing properties (specifically sores and inflammations). It also contains a high degree of protein, zinc, and polyunsaturated fats. • Babassu contains a high content of lauric and myristic acids. It has similar properties as Coconut Oil as it is a superior emollient for both dry and oily skin, and gently moisturizes the skin without contributing to an oily build up. • Jojoba Clear closely resembles the sebum of the skin, and is rich in vitamin E. It is a Phospholipids that hydrate and is extremely high in vitamin E. • Alpha Tocopherol provides anti-oxidant activity on the skin. The anti-oxidant properties can protect skin from damage by reactive oxygen radicals. Vitamin E has a moisturizing effect and it improves the appearance of dry skin. Vitamin E has soothing properties and promotes skin rejuvenation. Enjoy an exceptional nighttime treatment for those in need of intensive moisture and rejuvenation. Infused with Red Raspberry Seed, Seabuckthorn and Rosehip Extracts plus tropical Mango butter, this anti-oxidant rich Night Creme is exceptionally high in Vitamins E and A, essential fatty acids and anti-oxidants, which encourage healthy cell renewal and an ideal lipid balance. Nightly use of this restorative treatment will leave your skin feeling smooth, soft and agelessly radiant. Benefits: • Red Raspberry Seed Extract offers exceptionally high alpha and gamma tocopherols (Vitamin E), vitamin A and omega-3 and omega-6 fatty acids. It has UV resistence properties in addition to anti-inflammatory benefits. It is an effective skin conditioner. • Rosehip Extract is high in vitamin C as well as 32 other minerals and vitamins such as beta carotene, bioflavinoids, calcium, citrates, citric acid, iron malates, malic acid, niacin, phosphorus and vitamins A, B1, B2, E, K. Being rich in Vitamin C it is an anti-oxidant that promotes elasticity of the skin as well as offering antiinflammatory properties. • Mango Butter has been used traditionally for centuries as it is rich in anti-oxidants, emollients as well as Vitamins A and E. It softens and moisturize rough dry skin. • Palm Fruit Oil is rich in palmitic acid, Vitamin E, Vitamin K and Magnesium. It contains natural anti-oxidants. • Cocoa Butter and Shea butter are two of nature’s richest moisturizers. They create a barrier between the skin and the environment helping to retain moisture. Cocoa Butter contains cocoa mass polyphenol (CMP), a substance that inhibits the production of the immuno globulin IgE. IgE is known to aggravate symptoms of dermatitis. • Sweet Orange Essential Oil has an array of skin benefits. It is used traditionally to protect, stimulate and stabilize the skin.